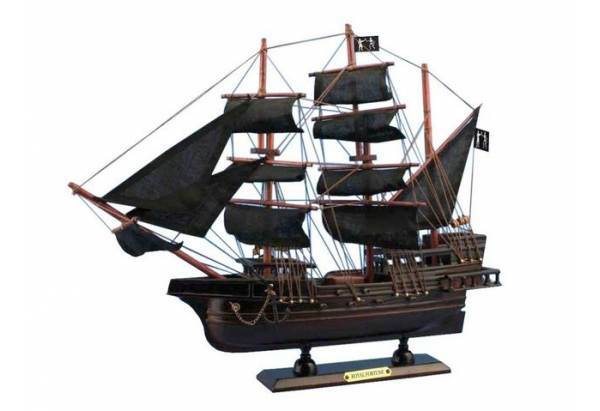 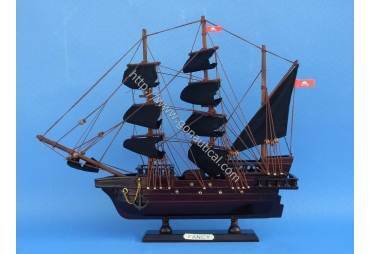 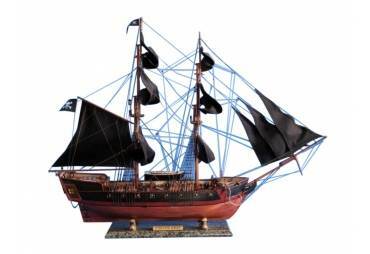 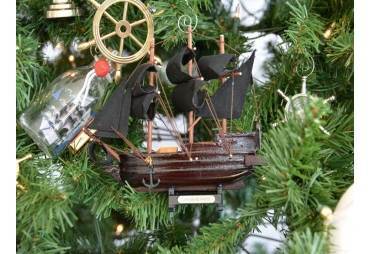 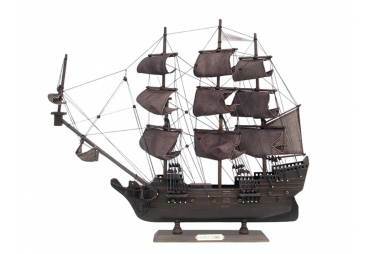 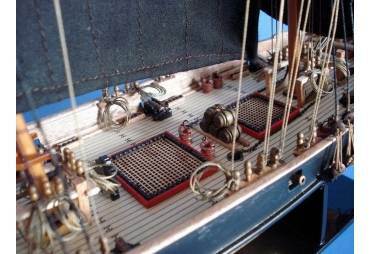 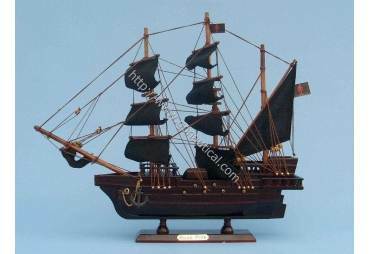 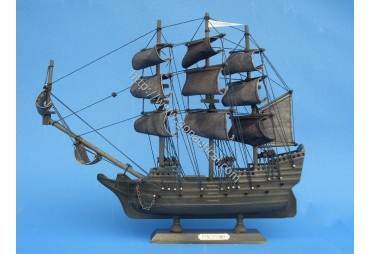 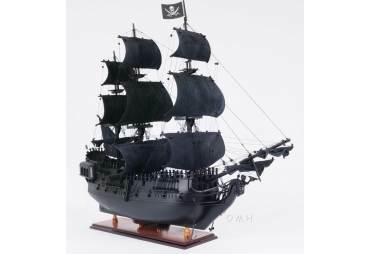 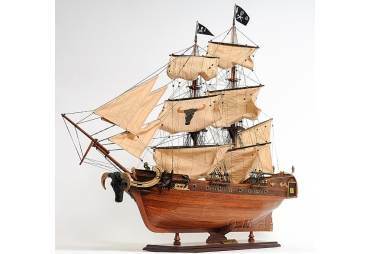 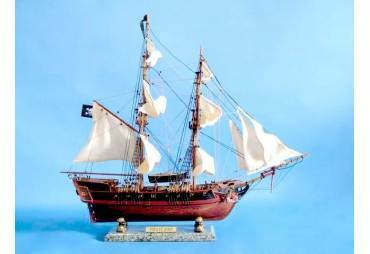 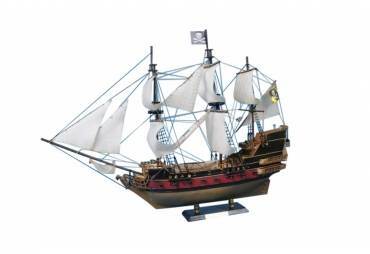 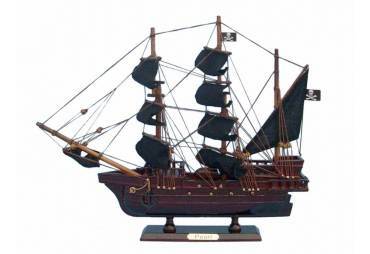 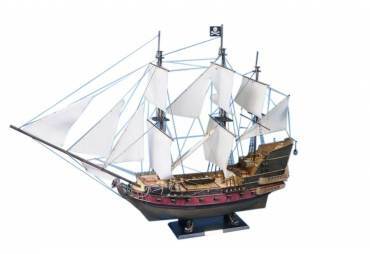 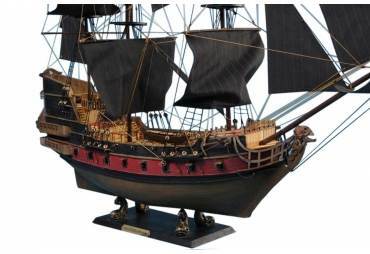 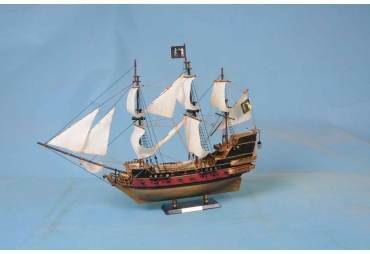 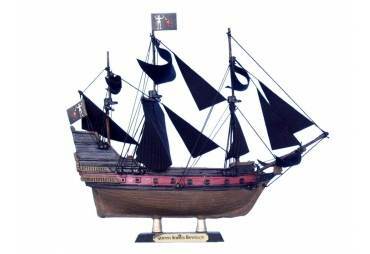 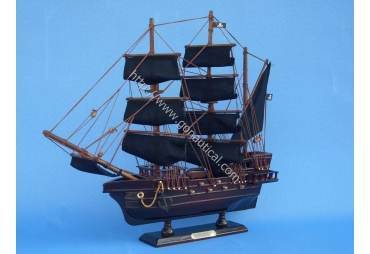 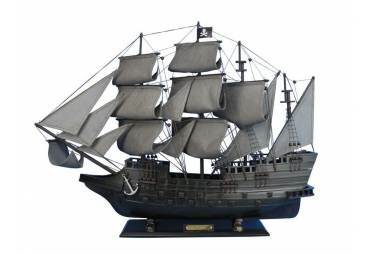 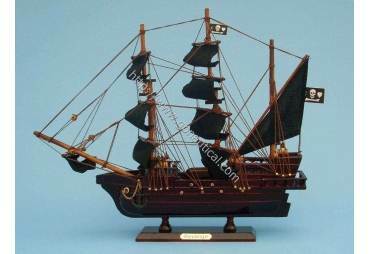 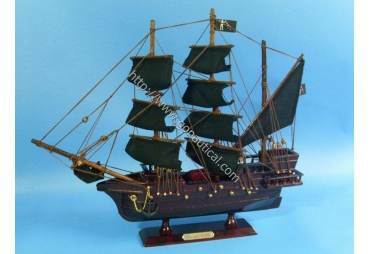 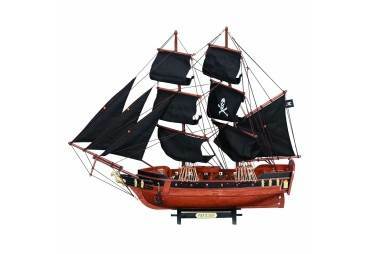 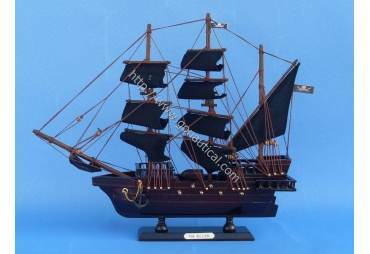 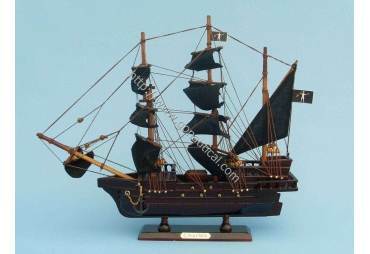 → Model Ships>Pirate Ships>Black Bart's Royal Fortune 14"
Black Bart's Royal Fortune 14"
This model ship ship Royal Fortunue boat model is painted in detail to the exact colors of Black Barts flagship. 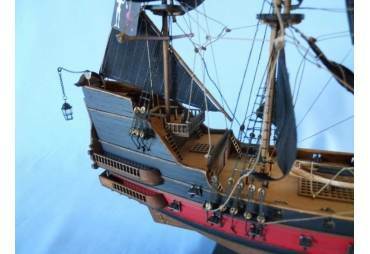 To build this model various sources such as drawings, paints, and copies of the original plans. 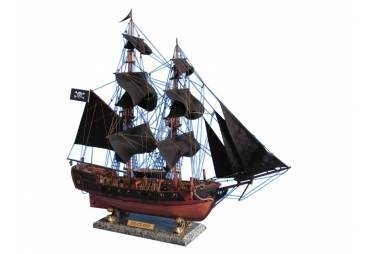 Our model sits flawlessly on a wooden base with a sophisticated brass nameplate plaque. 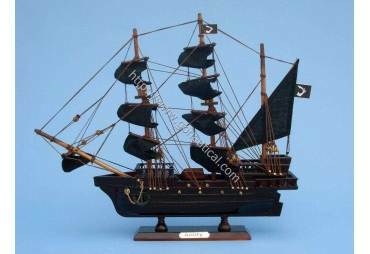 High detail Bartholomew Roberts (Black Bart's) pirate flags.